Seriously - is there anything more luxurious than having someone else do your hair? Especially when you have long, thick hair that takes forever to dry - and even longer to style. Happily, my neighborhood Drybar is close enough to be convenient - but not so close it becomes a too-frequent habit. It's also a little post-gym treat for myself. My gym is just a few blocks away. So on the rare occasion I actually plan ahead and schedule an early morning blow-out appointment (in NYC, you need to book at least a couple of days out to snag a coveted 7 a.m. slot) - my day feels like it's off to a great start before I even arrive at my desk. What is your ultimate luxury when it comes to pampering yourself? Are there many better ways to start a busy day than by having your hair freshly blown-out - preferably, by someone else? I think not, which makes me a huge fan of the Drybar (I might have done more than a few blog and Instagram posts from there). They pretty much invented the blow-dry salon business. Even though they now have tons of competition, I am super-loyal. Especially since their Upper East Side salon is very convenient to our apartment and my Equinox gym (well…whenever I get to the gym). So I was super excited to find their signature yellow blow dryer - aka "Buttercup" - in my hotel room last week in Chicago. While pretty much every hotel room has a hairdryer, many of them cannot handle my long, thick hair without overheating. So, I always travel with my own dryer. It's the little things that make life on the road just a tiny bit easier. What gets me out of bed before sunrise when it’s 25 degrees on the streets of Manhattan? A free blow-out at Drybar, that’s what! Courtesy of “Pretty Little Liars” – which has its winter premiere tonight – they offered free appointments all day. Since I wake up ridiculously early – an occupational hazard of doing early-morning TV – I snagged one of those coveted appointments as soon as I got the 5 a.m. email about it last Monday. 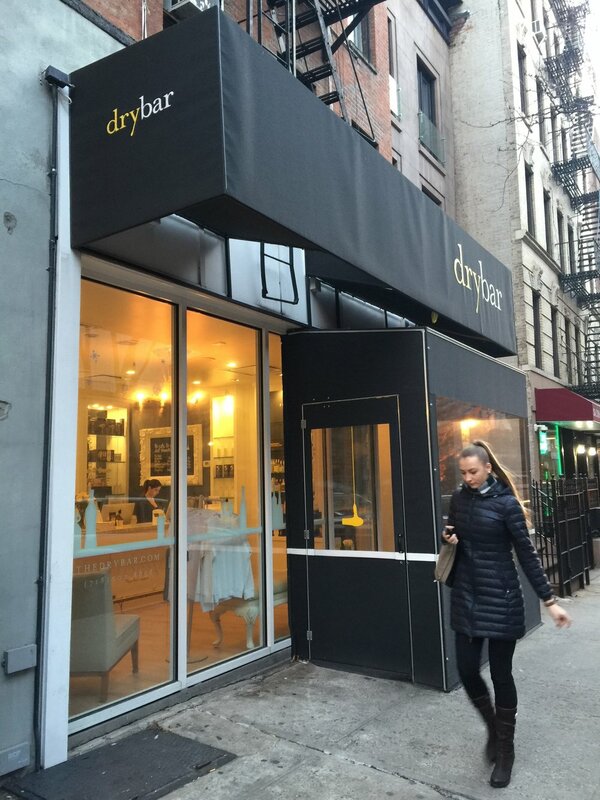 Drybar pretty much created the category for blow-dry salons. I did a few TV projects for them shortly after they launched, and although they now have tons of competition, they remain my ‘bar’ of choice. Depending on my mood - and whether a client meeting, TV appearance or date night with my husband is on the agenda - I'll order a Manhattan (sleek and smooth style) or a Cosmo (when, like today, I want a fun, curly look). So, my hair should look pretty good today – even if it’s buried beneath a fuzzy hat and scarf.